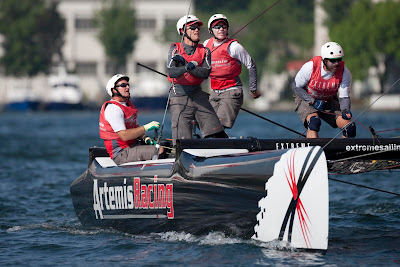 Tough day today on Artemis Racing. Tough only because we did not continue with our starting in the manner that we had in the previous two days. It did not change anything but we just did not have the breaks go our way. Inevitably, when you are parked at 5 of the 7 starts you can't expect much. That said Rodney, Julien and Truby did really good work and we had some great positions at the first top marks but really got zero love from the wind gods. 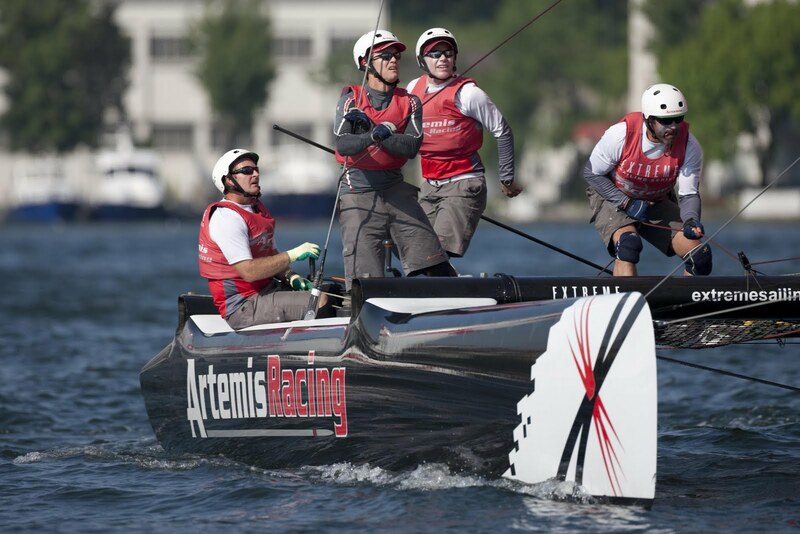 As we know, that is sailboat racing. Hats off to the Gitana guys for a great day to take over the pole position by a point on the leaderboard. For us tomorrow is a new day and we need to continue with the "consistent approach". Other than the actual points, our boat handling consistency was solid. As I said yesterday these days are hard and so we have to be mentally tough and take the good days with the bad. A highlight on the day was the good demeanor onboard, but that still does not ease the frustration. For tomorrow, nothing will change. We will start our day with Dog's debrief analyzing the things we did well and poorly. Then we'll face the day with the same determination that we have the previous three days. For now just looking for some plates to throw against the wall.